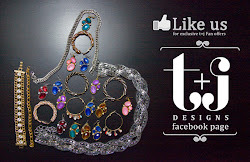 I wanted to first take a second introduce myself, the newest member of the t+j Designs team. My name is Shannon and along with Tiffany and Jen, I share an intense passion for all things fashion! All of us here at t+j Designs are hoping you had a wonderful Thanksgiving and continue to have a happy and safe holiday season. Now...let us focus on the beautiful jewels featured above ;)! I put together this collage of just a few of Tiffany & Jen’s favorite holiday pieces to create the ultimate gift-giving guide! Whether you are shopping for a family member, friend, special someone, or even something sparkly for yourself, all of the accessories above are on-trend for winter and range from only $38-$100! Talk about a Christmas miracle. Loving Tiff & Jen’s picks? You can find all of these AND MORE of their festive faves HERE! Looking for something a little different? There are TONS more options for any style you may be searching for. Check them out HERE!